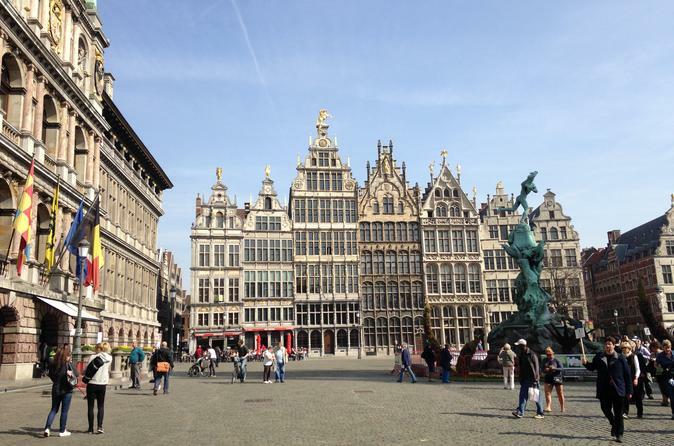 Segway city tours of 2 hours in city centre or left bank river in Antwerp, Belgium. Accompanied by a guide that shows you all main spots in the city and interesting places, with explanations on local sightseeing spots and monuments. The main segway city tour takes about 2 hours time and visits the historical centre of Antwerp, showing all main monuments and landscapes of the city. At each stop an explanation is given on the monument or building, and pictures can be taken. The full tour takes about 2 hours and 15 minutes of segway - initiation is included.